The Fire Academy of the South (FAS) provides a wide range of training and educational opportunities to emergency responders in both the public and private sector. Training levels range from basic skills and certification to advanced education with specific technical training, including shipboard fire fighting and aircraft rescue fire fighting. 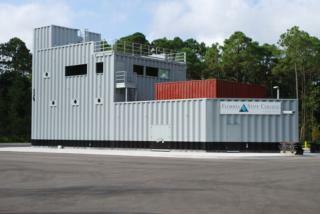 FAS has state of the art training facility with modern equipment including a new maritime fire trainer, which is a LEED certified Gold facility. FAS instructors have the knowledge, experience and the industry credentials to provide quality training and certification. FAS also possesses the ability to develop custom curriculum to meet the dynamic needs of the fire service and specific response parameters.